Boca Raton Car Crash Injures Seven People | Schuler, Halvorson, Weisser, Zoeller & Overbeck P.A. Seven people were rushed to Delray Medical Center after a three-vehicle crash in West Palmetto Park Road which involved suspects in an armed robbery, Boca Raton police reported. A Boca Raton Fire Rescue spokesman said, all the seven people in the three vehicles were injured and transported to the hospital. “That is a pretty big call for me and my team,” said the FHP Assistant Chief. Police had not yet identified any person involved in the car crash. Five out of the seven were also involved in the armed robbery. A spokeswoman for Boca Raton police said, all five people were in police custody but she can’t tell the exact charges they would be facing. The crash had taken place at dawn on the 1200 block of the West Palmetto Park Road, east of Interstate 95. 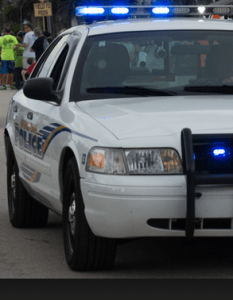 The armed robbery had taken place at the 900 block of North Federal Highway, south of the Glades Road and about two miles from the crash scene. The spokeswoman said, the robbery happened in a parking lot. Other details were not made available. Anyone with additional information concerning the crash is asked to contact FHP.